Glock 17/22 Kydex Holster » Protective Solutions, Inc.
Level 1 Responder style Holster for Glock 17 or 22. Premium Kydex, with adjustable retention. 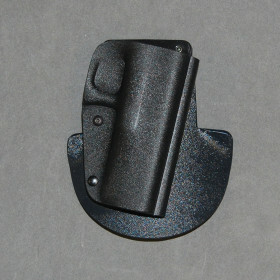 Paddle style holster, will also slip over belt up to 2 1/2 inches. Made in USA.